We've looked into the reasons for this. You can see our guides to the 10 best pet insurers and top 10 car insurance policies to compare providers. Why does it cost more to insure your dog than your car? 1. Car breakdown isn’t covered by car insurance, you'll need a separate breakdown policy for that (here's our top 13). Dog breakdown – getting sick and going to the vet – is covered by pet insurance. Emergency vet treatment is expensive because it means the vet has to drop everything, including pre-booked appointments made by other people, to attend to your pet. Garages are more likely to schedule in a slot for a broken down car after they've finished their current jobs. Find out more about pet insurance for pre-existing medical conditions here. 5. 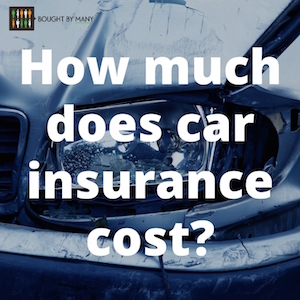 Because all drivers must have car insurance, the companies that offer it have huge buying power and negotiate favourable rates from repair garages to keep their costs down. This has only just started with Pet insurers - like More Th>n and its network of vets it has negotiated with. Anything that pushes up the cost of vet bills will be reflected in the cost of pet insurance because insurers need to make sure they can afford owners' claims. But what it boils down to is that cars are machines and easily replaced. Dogs are living creatures and for many people are part of the family. It is only natural to spend more money making sure these loving, loyal companions stay healthy and happy for as long as possible. Need to insure your dog? Have a look at our guide to the Best Pet Insurance for Dogs. If you think pet owners should be getting a fairer deal from insurance companies, then add your voice by joining one of our Pet Insurance groups. Check out our guide to the Top 10 Car Insurance Companies.